Deliver business-class Ethernet services with the Ciena CN 3940 service deliver switch. This next-gen SDS allows carriers to use fiber and copper with 24 Gigabit Ethernet ports in a single rack unit for better delivery of residential, business and other services. A refurbished Ciena CN 3940 from Worldwide Supply still provides you with a high-performing switching platform that can take advantage of the latest Ethernet capabilities, but at a cost significantly reduced compared to OEM initial costs and maintenance fees. This model could make a significant improvement to your network thanks to its high-density, high-capacity all-GbE design in a single RU. Scale, grow and plan for the future right with a used or refurbished Ciena CN 3940. 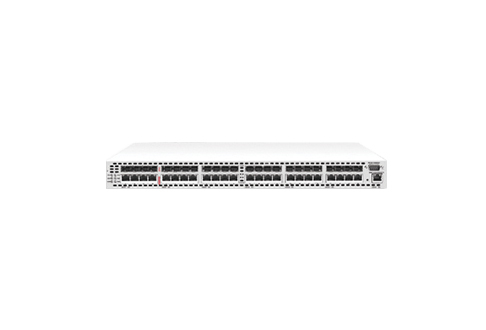 Choosing a used Ciena CN 3940 from Worldwide Supply will provide your network and customers with sophisticated QoS and VLAN support as well as the latest in virtual switching capabilities. The 4G mobile backhaul capabilities for the Ciena CN 3940 allow you to better support 4G technologies and WiMAX deployments already in service. You can also make use of existing network elements designed to deliver to all ends of your coverage area, such as dark fiber and microwave ring-based topologies where you serve a select clientele. Carrier Ethernet services, transport and PBB-TE are at your fingertips in an affordable way when you select a used Ciena CN 3940 from Worldwide Supply.